As people across the globe toasted the New Year this month, Japan’s sake brewers had another reason to celebrate. The industry saw modest increases in sake sales, offering a glimmer of hope to producers who have watched consumption decline since the late 1970s. According to the Japanese Sake and Shochu Makers Association (JSS), shipments rose to 601,807 kiloliters in fiscal 2011, marking the first increase in 16 years. 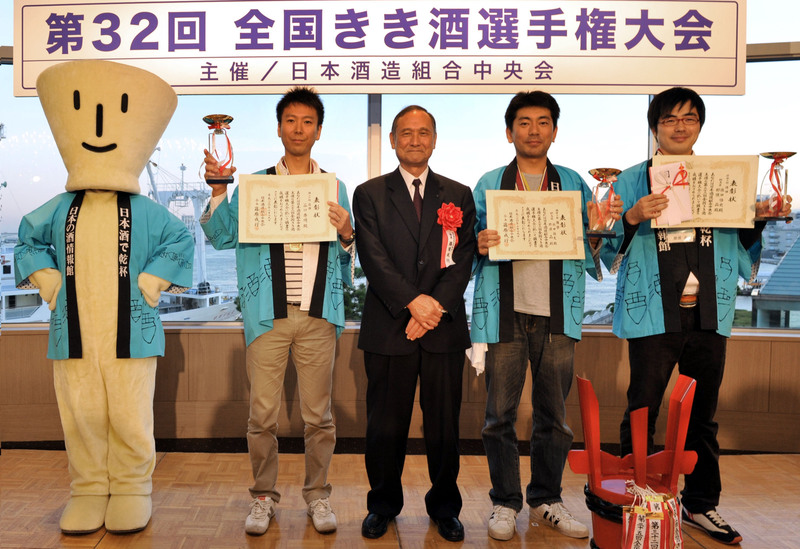 The figures for 2012 appear to be slightly higher, leading sake expert John Gaunter said. While Gauntner and other insiders warn that it is too soon to talk of a comeback, he remains optimistic. “[The increase] will be less than 5 percent, and that is barely clear of margin-of-error range. 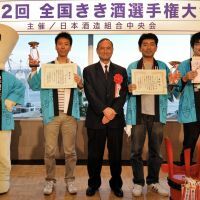 But we will take what we can get,” he wrote in the most recent edition of his monthly Sake Education Council newsletter. Meanwhile, exports remain strong. The number of sake shipments overseas in reached 14,013 kiloliters in 2011 — roughly double that of the previous decade. While 2012 exports are unlikely to exceed this all-time high, trade statistics from the Ministry of Finance show record growth in markets such as South Korea. One of the factors driving the boom has been the popularity of Japanese cuisine around the world. The Japan External Trade Organization (JETRO) estimates that there were 14,129 Japanese restaurants in the United States in 2010, while the number has risen to 1,000 in France and about 500 in Britain. Japanese food is gradually becoming part of the global culinary landscape, and savvy gourmets are no longer limiting themselves to sushi. Authentic izakayas Japanese-style pub-restaurants, yakitori restaurants and ramen shops have become fixtures in major cities like New York and London. 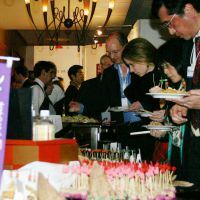 Large-scale tasting events like the Joy of Sake, started by sake lovers in North America, have helped spark excitement among consumers, while competitions such as the International Wine Challenge and the Sake Sommelier Association’s London Sake Challenge, both based in Britain, have raised the drink’s profile among professionals in the restaurant industry. But the main reason behind sake’s meteoric rise, suggests JSS Chairman Shigeyuki Shinohara, is its unique flavor profile. “The flavors in distilled alcohol like whiskey and bourbon come mostly from the barrels, but sake is simply delicious in and of itself,” he said, noting that the drink’s complexity stems from the naturally high levels of umami savoriness produced during the brewing process. Hoping to capitalize on the drink’s popularity abroad, the National Policy Unit launched a special campaign to promote sake as well as shochu last spring. 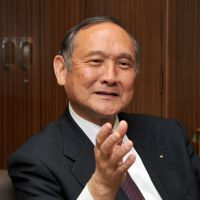 The project, called “Kokushu wo tanoshimou” (Enjoy Japanese Kokushu [national alcoholic drinks]), is the idea of former national policy minister Motohisa Furukawa, who reasoned that capturing a larger segment of the global wine and spirits market — estimated at over half a trillion U.S. dollars — could revitalize the economy. Despite Japan’s recent change of government, the project seems set to continue. 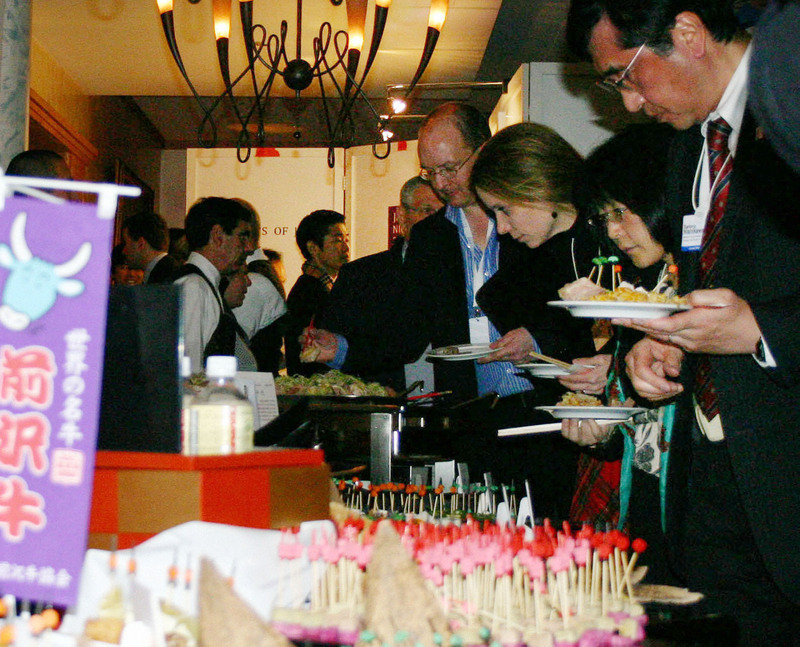 Part of the plan has included a series of events to introduce premium sake to international audiences. According to JETRO, nearly 30 percent of sake exports go to the U.S., followed by South Korea and Taiwan. 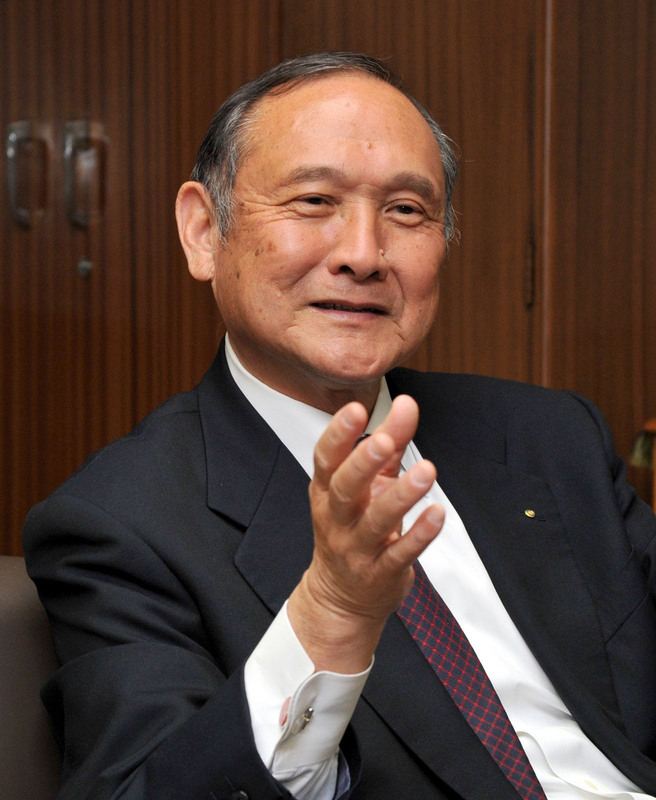 Shinohara sees Europe as a promising new market. Small but growing communities of devoted fans have popped up in countries across Europe, most notably in Britain, France and Sweden. Italian enthusiast Marco Massarotto, who started an organization called La Via del Sake a year ago, is now working to create a sake scene in Italy. Massarotto has hosted successful tasting parties, pairing sake with Italian ingredients such as balsamic vinegar and Parmesan cheese, in addition to classic dishes like bistecca alla Fiorentina (Florentine-style steak). In the upcoming year, he hopes to collaborate with top Italian chefs on sake dinner events and is even planning to build an exhibition space, where Japanese sake makers can showcase their products in Milan. Berlin-based DJ Rich Hawtin wants to introduce sake to the next generation of drinkers: a young, hip crowd of globe-trotting music lovers. “The sake scene reminds me of our electronic music scene — a small, independent community filled with creative people trusting their intuition to produce something truly unique,” he said. At Enter, the three-month music festival he produced last summer on the Spanish island of Ibiza, Hawtin opened a sake bar serving brews from Japan — as well as a selection of mixed drinks created for the event by Barcelona’s 41? cocktail bar, the trendy dining spot helmed by Ferran and Albert Adria. Bilingual tour guide and sake advocate Etsuko Nakamura is doing her part to attract sake buffs to Japan with her Sake Brewery Tours. The five-day tours include a lecture on sake basics by John Gaunter, visits to multiple breweries and meals featuring local cuisine. Although the excursions revolve around sake, Nakamura said that one doesn’t have to be a sake geek to join. “We’ve had beginners as well as pros. It’s for anyone who is interested in Japanese food, history and culture,” she said. This year, the Sake Brewery Tours will travel to Akita Prefecture in February and the Kansai region in March. As the sake market continues to expand overseas, raising domestic consumption remains the industry’s greatest challenge. There is no simple solution, but Shinohara believes that the key lies in rediscovering traditional food culture.